Today's Mars Photo is of Ophir Chasma, the northern most connected valleys of Valles Marineris, a huge canyon system that is 5,000 km (~3106 mi) long. 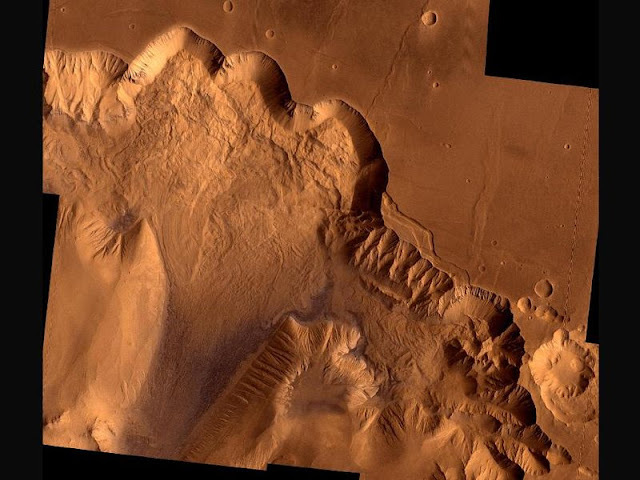 Ophir Chasma is about 100 km (62 mi) wide and 317 km (197 mi) long and bordered by high-walled cliffs, which are thought to be faults. For more details on the image and to view the original, just click the image.